For readers not familiar with Viega, please give a ‘birds eye’ view, putting the company in perspective in terms of the products and services you provide, global reach, etc. The Viega Group, with a tradition of innovation for more than 115 years, has more than 4,000 employees worldwide and is a leading manufacturers of pipe fitting installation technology for shipbuilding, industrial, commercial and residential projects. In the U.S., Viega LLC employs nearly 500 people and offers more than 3,000 products. 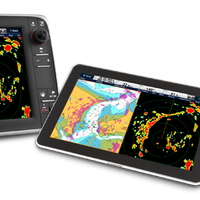 Nashua, N.H. – Raymarine announced the release of its Raymarine Viewer app, RayView, for Android tablets and Smartphones. The new app, available now in the Google Play Android store, joins the previously released RayView app for Apple iOS devices, like the iPhone and iPad. Taking advantage of the built-in Wi-Fi networking in its new c-Series and e-Series Multifunction Displays, the RayView app enables boaters to view the screen from their multifunction display right on their mobile device. Hawaiian Dredging Construction Co., Inc., Honolulu, Hawaii, is being awarded at $11,344,500 for firm fixed price task order #0010 under a multiple award construction contract (N62742-04-D-1302) for repairs to Pier B4 and Wharf B5 at Pearl Harbor Naval Shipyard, Pearl Harbor, Hawaii. Work will be performed in Pearl Harbor, Hawaii, and is expected to be completed by May 2010. Funds provided by the American Recovery and Reinvestment Act of 2009. Contract funds will not expire at the end of the current fiscal year. Three proposals were received for this t ask order. The Naval Facilities Engineering Command, Hawaii is the contracting activity. BAE Systems Information and Electronic Systems, Nashua, N.H., is being awarded a $33,676,912 modification to a previously awarded firm fixed price contract (N00019-08-C-0044) for the Low Rate Initial Production Lot V of the Integrated Defensive Electronic Countermeasures (IDECM) AN/ALE-55(V) Subsystems and associated technical support and non-recurring engineering for the U.S. Navy and Royal Australian Air Force F/A-18E/F aircraft. The AN/ALE-55(V) subsystem consists of an electronic frequency converter (EFC) and a fiber optic towed decoy (FOTD). This modification provides for a total of 70 EFCs for the U.S. Navy, (58) and the Royal Austra lian Air Force, (12); and 323 FOTDs for the U.S. Navy, (251) and the Royal Australian Air Force, (72). Raymarine is relocating its U.S. headquarters. Raymarine will be moving from its Nashua, New Hampshire location to new offices at 21 Manchester Street in Merrimack, New Hampshire. The company will be fully situated at the new location on April 11th. "We had a number of goals in mind when selecting the location of our new U.S. headquarters," said Terry Carlson, president, Raymarine. "We wanted a building that was more reflective of the caliber of our products and the Raymarine corporate image, as well as one that would offer us greater efficiencies. It was also very important that we remain in the New Hampshire area for our employees and our customers. In a story reported by the NY Times, Gabriel Whitney says he did not plan to nearly suffocate President Bush in a bear hug. In fact, he did not plan to hug him at all. But when Mr. Whitney, one of 202 midshipmen to graduate from the United States Merchant Marine Academy in Kings Point, N.Y., on Monday, stepped forward to receive his diploma, it just sort of happened. Call it irrational exuberance. But after six years of undergraduate school and 4,872 demerits, Mr. Whitney, 25, of Nashua, N.H., could hardly restrain himself. With more reason than most to be overjoyed, the 6-foot-7 midshipman stepped onto the stage to accept his degree and hugged Vice Adm. Joseph D. Stewart, the academy's superintendent. Then he raised both arms in a victorious salute as his classmates roared their approval. 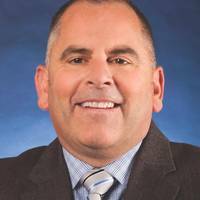 SIMRAD has expanded its sales team with the addition of Michael Lynn as its Commercial Sales Manager USA West Coast. 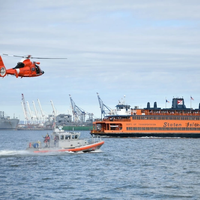 Lynn will concentrate on working with SIMRAD dealers to facilitate sales to commercial fishing, tug boat, workboat, and coastal transportation customers. “Michael’s considerable experience in marine electronics as well as his superlative communications skills made him the obvious choice for this position,” said Brian Staton, president of SIMRAD Inc. Lynn, 53, brings more than 20 years of experience in the marine electronics industry including positions at Radio Holland, USA (Houston, TX), Raytheon Marine Co. (Nashua, NH) and Sea Mar Electronics Inc. (Seattle, WA). In addition, Lynn has five years of retail store management experience. for the procurement of 10 OE-120 antenna groups for the U.S. governments of Korea (3) and Japan (1). ships. contract combines purchases for the U.S. Program. 2005. year. contract was not competitively procured. River, Md., is the contracting activity (N00019-03-C-0050). Raymarine has made changes to its board of directors. Terry Carlson has been appointed to the Raymarine board as President of Americas and Global Product Management, and will be based at Raymarine¹s offices in Nashua, N.H. brings an immense wealth of knowledge and experience. activities outside the Americas. which took place in January 2001. consumer electronics products. Raymarine Group Ltd. and Chief Executive Officer. joins the organization effective Jan. 2, 2003.